Welcome home to this beautiful , well kept home featuring a large, open LR and dining area boasting beautiful wood flooring and a cozy stone fireplace. The interior living room boast with beautiful wooden walls that makes for a cozy , cabin feeling. The home has over 2100 square foot to enjoy! There is a screened in porch and a patio in addition to a large basement and a double car, door garage. There is plenty of room for family fun and get together s. This is a great place to call home! 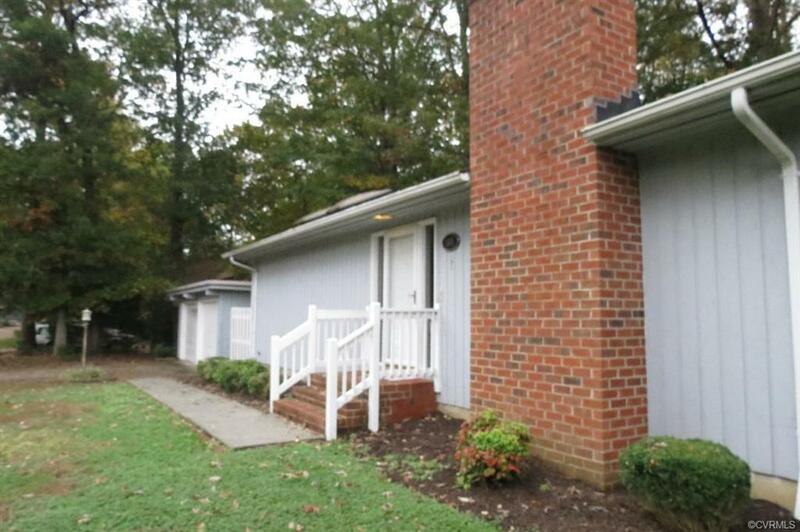 The home is 7 miles from Fort Lee VA., minutes from Interstate 95, a shopping mall and plenty of dining. Call today for a private tour! Directions: Conduit Rd To Duke Of Gloucester To The End Of The Street. The Home Is On The Right.